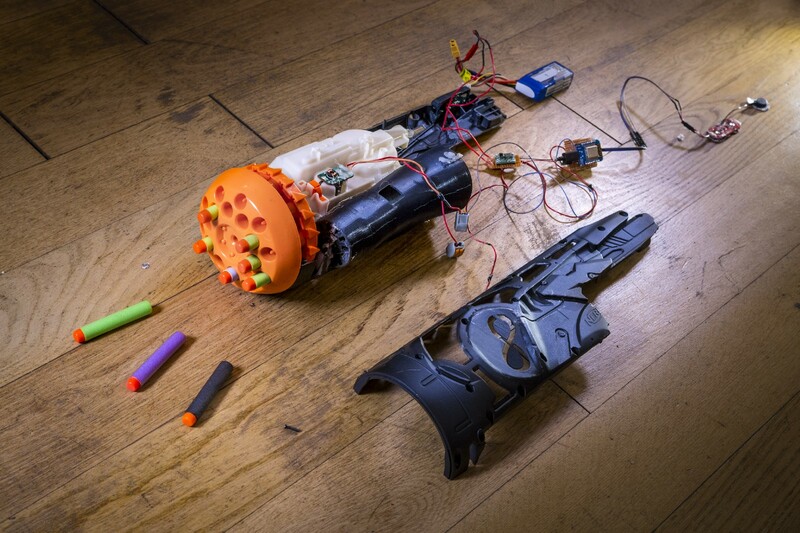 After realizing that it is too easy to win a Nerf battle over an adversary who’s missing a hand, the creative agency, Hackerloop, decided to make a bionic Nerf blaster that can be fired without one. 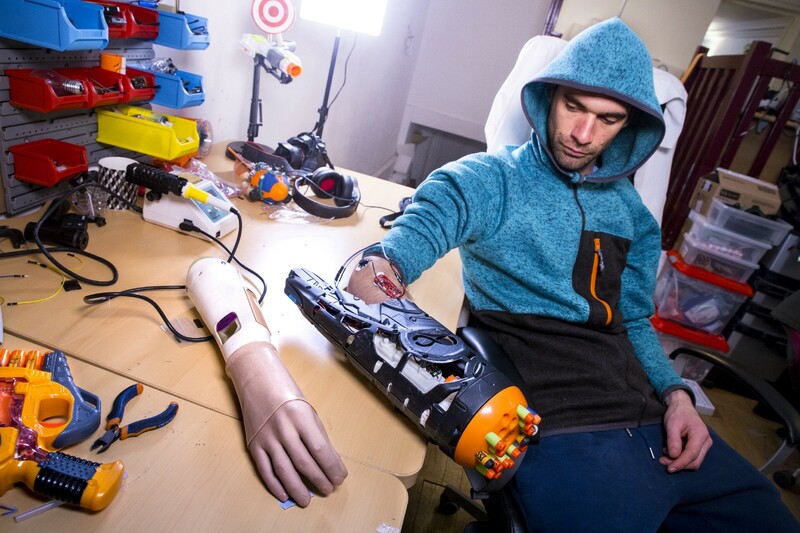 A couple EMG sensors, a pinch of 3D printing, and here it is: a prosthetic Nerf gun that can be fired by contracting your forearm muscles. 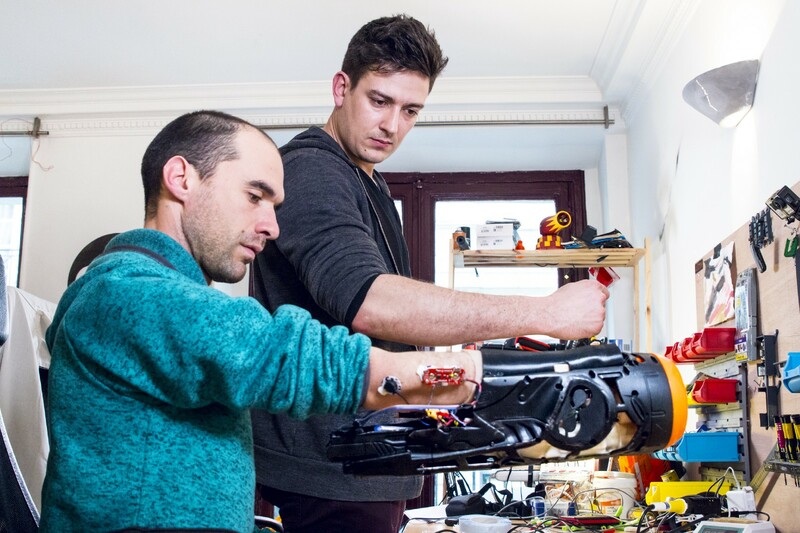 Using EMG technology (the science dedicated to evaluating and recording the electrical activity produced by skeletal muscles), a dismantled Swarmfire Nerf blaster and affordable Arduino-like hardware electronics, it took the Paris and Berlin-based collective two days to create a fully-functional prototype for their friend, Nicolas Huchet. Why make a prosthetic Nerf Gun? As per our motto (“What could go wrong?”), Hackerloop is keen on fun, silly, or outright stupid projects, as long as it brings fun and smiles. 1. Three electrodes are positioned on different areas of the arm. Different inputs allow it to detect variations in muscular activity. 2. The voltage amplitude is transmitted (at the rate of approx. 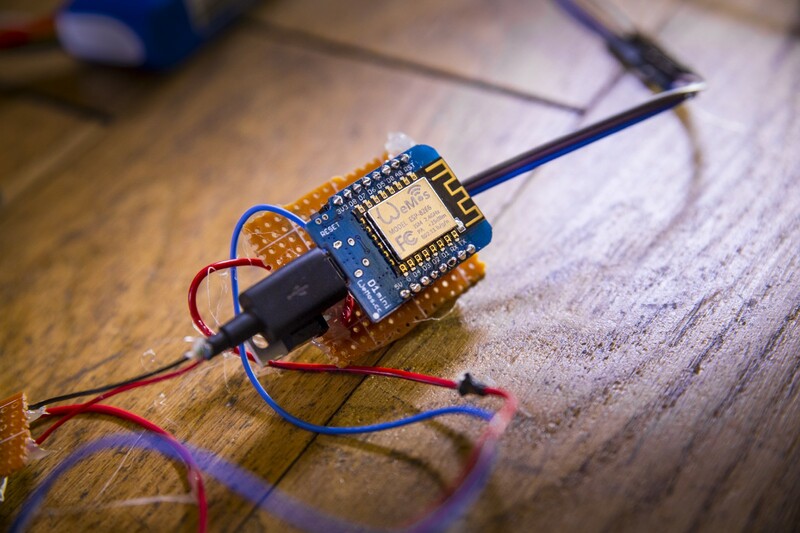 100 per second) to the sensor which in turns transmits it to the microcontroller (Arduino-like). 3. 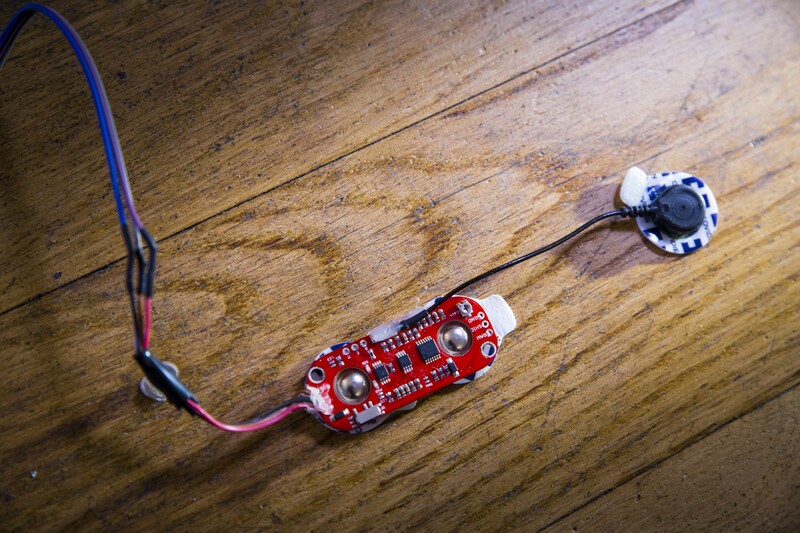 The microcontroller is given a certain threshold. It collects the signals, and when the variation matches that certain threshold, it considers it a “fire signal”. 4. The signal is then transmitted to the modified Swarmfire Nerf gun, which has been modified to include a 3D-printed sheath and a custom casing. Hackerloop is a creative agency, run by a collective of engineers and designers who love making crazy and creative stuff together. Founded in 2012, their others projects include a Nerf gun prosthetic, the Nosulus Rift and a vibrant Flying and Crashing Department that puts rockets on basically everything.